Model T Ford Forum: Flaps or No Flaps? Model T Ford Forum: Forum 2014: Flaps or No Flaps? 1. I seem to remember a thread on this forum from some years ago where folks suggested NOT using the flaps. As I recall, the argument ran along the lines that they were not necessary, added weight and Henry didn't use them. Well, I have them now, is there any reason NOT to use them? 2. Any tips for doing this job and getting the all the hardware & other bits in place properly and not loosing fingers or other much valued body parts? I was thinking of using plenty of talc on the tubes & flaps and using glycerin to ease the tire beads over the rims. Vintage Paul, still making slow progress . . .
Flaps can't hurt. if you don't have them and you get a rim cut you will wish you had put them in. I run flaps in all of my tube type tires! I understand Ford never used them. I'm not him and my rims are a lot older than any he ever dealt with. G.R. has it right in my book. What ever you decide don't use duct tape (the plastic/cloth stuff). Deteriorates badly. Personal experience talkin' here. Actually the "real" duct tape, the aluminum stuff used on hot air heating ducts, might be a much better answer for rough rim insides with out flaps. Some will tell you it's a waste of money. Others not. I have them in my TT, but not in my wife's Touring. I suppose they can help if your rims are in bad shape, but I think the major benefit is protecting the tube from pinching with a tire iron. You need to be careful where you put a tire iron if you aren't using flaps, but it's not that big a deal. Using flaps has eliminated nearly all of my tire problems. I've driven T's for 50 years and used flaps for the last 20. Yes they do help. I have no tricks for mounting tires. It is good exercise. The rims I intend to use are somewhat rough on the inside but the parts that grab the bead are not rusted sharp. The powdercoat will help to smooth things out somewhat, I hope. Has anyone done a video about mounting this sort of a setup? I found the one on the plastic bag trick very helpful but that fellow wasn't using flaps or metal hardware such as the bridge on the valve stems. We're supposed to have 75� heat Sunday which ought to be good for wrestling stiff rubber Model T tires. 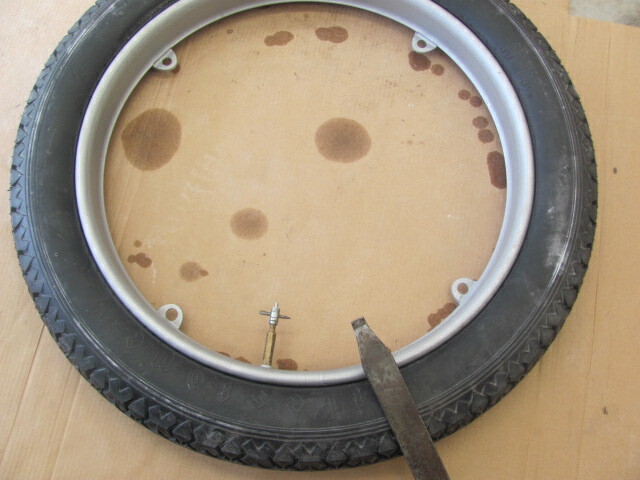 This video is on mounting tube in tire with flap, but the rim is the split rim type (balloon tire). So the first parts would be the same, but then the tire mounting is clincher style. You just lever the first edge of the tire over, insert the stem in the rim hole, and lever over the other edge of the tire onto the clincher rim. Paul, Do you have some tire irons. I found the ones at the motorcycle shops are perfect for the clinchers tires on my car. Let me know if you need to borrow one. The plastic bag trick didn't work for me and was a bigger job getting all the pieces out than putting on the tires. Of course this was on a 30 X 3 clincher. Our annual club inspection is coming up at Toms Hoist service shop. We've changed tires there several times. Bring your car over and get some help along with a lot of watchers with advice. hee hee but seriously if you can wait that's a good place. It's sometimes good to have a extra hand. It's undeniable that flaps provide a significant, extra measure of protection for your inner-tubes and don't let anyone tell you they don't. -Flaps are wonderful if you can get them and your fingers to fit inside the tire as you're making the mounting attempt. -My personal experience, though, is that this is impossible with 30x3 NON-SKID Firestones�and I've been mounting and dismounting skinny tires since I was a little kid with a bicycle. Buy a couple of jumbo-size, double-head C-clamps with plastic jaws, a rubber, dead-blow mallet and a set of smooth, spoon-type tire irons (and don't even think of going near your tires with a screwdriver). 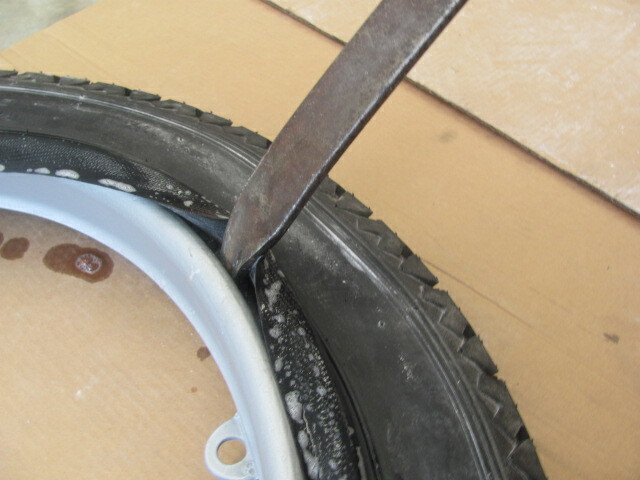 -Make very certain your rim is smooth. -A wire brush followed by steel wool (and a good wipe-off), followed by a coat of Rustoleum and a single-layer bed of good-quality duct-tape* is reasonably good insurance. Letting the tire sit in the hot sun for a while will soften the rubber a bit and make it a little easier to mount. -Dust the inner-tube and the inside of your tire with talcum powder (or corn-starch, if you're worried about the health-hazards of talc). -You need just a minimal amount of air in the inner-tube�just enough that it isn't collapsed�and when using the tire-irons, stick your finger in to make sure you're not pinching the tube. 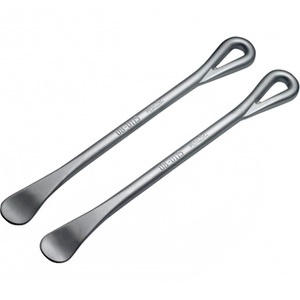 -Whenever possible, use the C-clamps or mallet instead of the tire-irons. -You may have to push the air-valve in a bit to get the bead to seat in that spot. -Don't worry, the valve will re-assume the correct position when you inflate the tire. -It's a good idea to put about twenty pounds of pressure in the tire and beat on the treads with the mallet to ensure that the inner-tube isn't being pinched between the clinchers�it's also viscerally satisfying. -Then, inflate to at least fifty-five pounds of pressure (assuming high-pressure clincher tires) and beat it up some more. A little care and common sense is all that's required to safely mount the tires without flaps if it turns out you can't fit them in there. *Some folks frown on using duct tape to line the inside of the rims. -Nevertheless, this versatile material is widely used for this purpose and for me, has worked out just fine. It is even easier to mount the tire if you place the tube and flap in the tire first and then put both sides of the tire on at the same time. 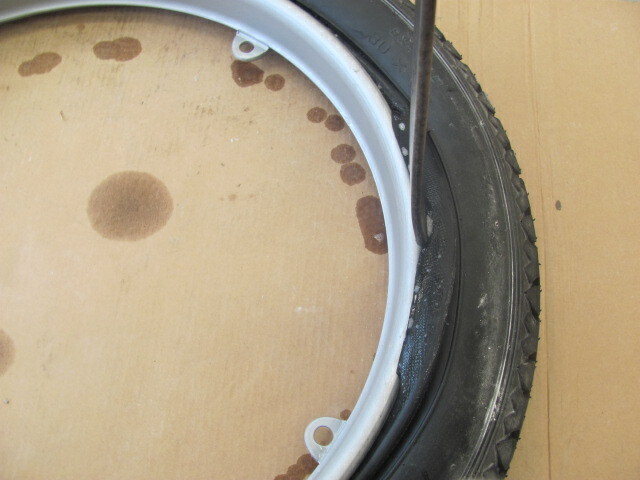 Place the valve in the hole in the rim and work around both sides of it to the opposite side. The tube is trapped inside the tire so you can't pinch the tire,. Don't forget any system you use needs to be similar to that you will have to do on the road. Tire punchers don't happen in the garage at home very often. This question always causes a flap. [If it turns out you can't fit them in there]?????????????????????????????????????????????????????????????????????????? ???????????????????????????????????????????????????????????????????????????????? ???????????????????????????????????????????????????????????????????????????????? ???????????????????????????????????????????????????????????????????????????????? ???????????????????????????????????????????????????????????????????????????????? ?????????????????? Bud. Paul, I'm a no flap man, but seeing you already have spent the money on them, you might as well fit them. Peter Kable has the right idea. Fit the partly inflated tube and the flap in the tyre first and then fit BOTH sides of the tyre at the same time. I use a clamp to hold both the beads and the valve stem in place before I start with the levers, BOTH beads at once. In the end just one side may pop on and you will have to lever a single side to finish off. This is the only time your tyre lever should get anywhere the tube. Just use care. Having said this, older Firestones are a bugger to fit, especially if they have not been on a rim for a long time. Try one and if it gives you too much grief, use the modern tyre trick to stretch them first. I like the idea of fitting the tube & flap into the tire and fitting both sides of the tire at once. Thanks Gene, I have old motorcycles and have tire spoons for them in a place where I can find them. Somewhere I also have real vintage car tire spoons that I last used on the 1929 Hudson tires twenty years ago. I wonder where they might have gotten to? What is the "modern tyre trick?" That sounds interesting! I love that padded C-clamp. It might be just the right tool for that last little bit of bead that refuses to slip over the rim. I have a tire I just took off, 21 split rim, that has a flap in it from back in the the day. 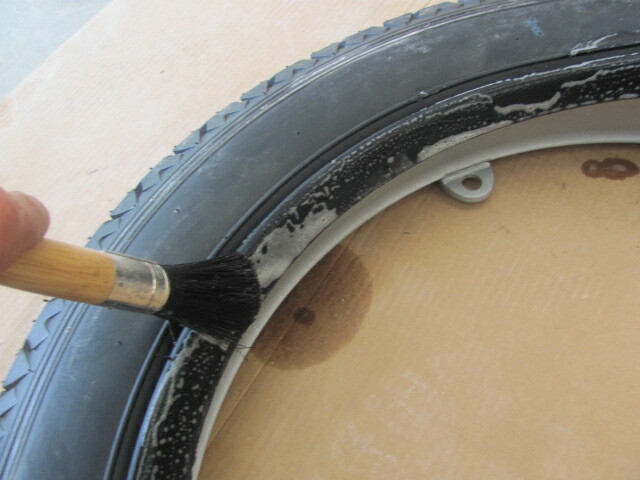 When I paint and use that rim, it will get the same flap back in as it's pitted inside. I use flaps in my 30's. After locking up and skidding on a quick stop at even slow speed into a cross walk today, I am putting 21's at least on the rear. I have found that some of the new 30" tubes are smaller in overall diameter. When semi inflated they want to move out of the tire when installing them. I have found the flap keeps the tube in the tire making for easier install. Use flaps in all of mine. Tubes and flaps in the tire first, inflate to hold in place and then work on the rims. Trash bag trick has never failed on clinchers for me. I always use flaps, it saves pinching a tube. I tried the trash bag trick and it was more work getting rid of the trash bag than it was to put a tire on with out. I have found that it is much easier to change the tire with the rim bolted to the car. I do know of one case where a tube caused a ruined new tire. A friend had a new tire put on his pickup in the 70s (3/4 ton 4 wheel drive Ford which used safety split rims with flaps) The kid at the tire store did not remove the rolled flap from the new tire and stuck a tube in it and mounted the tire. It took a bunch of lead to balance the tire. My friend got out of town and on a highway where the higher speed threw the tire out of balance, but he needed get supplies to a sheepherder on the desert, so he kept going. It was not long that the tire gave out and the tire store got to drive out to fix it. Tube will cause problems if not installed right, but you have to be pretty bad at installing tires to screw a tube up. Paul, The "modern tire trick" is a way to stretch out a tire. You take a modern small car tire on the rim and deflate it enough to get the Model T tire to fit over it then inflate them modern one until it has stretched T tire enough to fit but not enough to break the T tire. If you want trouble, try NOT using a flap. Been there, done that. Back in the '60s and before, we didn't need them, but since they started making the tires overseas we've needed them, beginning with the Firestone tires made in New Zealand. The best 30 X 3 1/2 tire I ever used was a Goodyear, and it was made in the USA, and didn't need a flap. That was probably in the late '60s. I don't know why they ever discontinued them. I wore them down to bald, and am still using one for a spare. my 15 has no flaps, 10 years not a flat yet. My TT had flaps on the rear, so I put them back on the rears. On my fronts, I put them out on a hot day in the summer and did not even need tire irons, they went on just with hands. One thing more about flaps. You guessed it they are "cheaper" not in price but in quality. Why am I not surprised? The ones I purchased were made to fit inside the tire and provide a nice smooth round hole for the tube. Now they are just a flat piece of rubber the same thickness. Here are some rough drawing showing the difference. 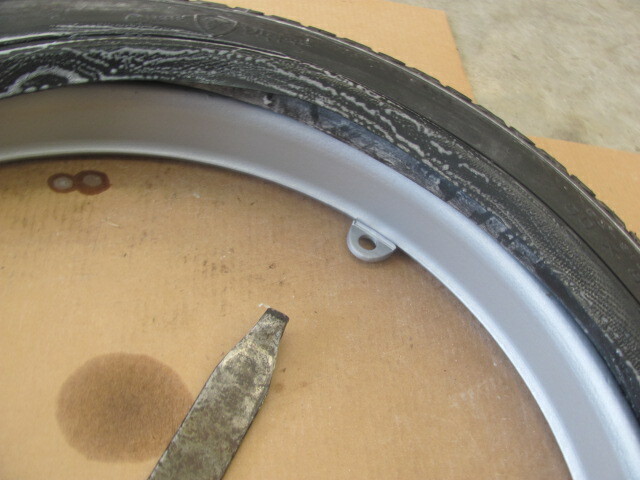 The flaps I got recently from Lang's were nicely pre-shaped to fit inside the tire and provided excellent protection for the tube from my ham-fisted efforts with the tire irons. The tire project got bumped to the day after Christmas by some events outside of the T project. I think I have everything lined up now and will resume tire wrangling while the ladies are off returning presents. The good news is I'm going to get a rare trip to the pistol range this afternoon, the first in more than 6 months. I'm looking forward to that! There must be lots on Model T and guns that are related. Not to drift this thread, But Fact of the mater is that More guns has Lessened Crime. Would be a interesting OT thread to learn how our T friends relate to guns. Paul, Where are you going? I went to the Firing Line in your neck of the woods. I usually go to the one in Brea but went with a pal who is a member in H.B. range. The Brea range has split off and is a different name now. I brought two pistols, a 1950s Spanish STAR originally in 9mm Largo which has been converted to 38 Super, and a S&W 357 revolver. The range had no inexpensive 38 Super so I shot 38 Special in the Smith. That Smith is an old one, made with old style American craftsmanship. It is a joy to shoot & I even enjoy cleaning it. Unfortunately, that would likely turn political in short order. I remember right after Sandy Hook a member here made a statement something to the effect of that if anyone felt they needed such and such a rifle then he had no use for that person. It was an emotional response and he probably didn't mean it personally to anyone in particular, but frankly, I was offended. I indeed have the very rifle he mentioned and I'm not likely to ever give it up. It is ironic that the people who want to disarm the American population are some of the people who support the killings of children in schools and everyone in theaters and shopping malls. The make sure that the names and faces of these sick people are broadcast on the news and in papers for months if not years after the deed. There was a time that the new would publish teen suicides, but were pressured into not releasing the names as there were too many copy cats trying to get their 15 minutes of fame. If a mentally ill person wants to achieve world fame, they now know that all they have to do is kill as many people as they can with a firearm, and if they use an assault weapon, they get even more fame. If they survive, have photos of red hair, shaved head or any thing that look sensational, they will get even more fame. The President of the United States was the first to politicize the Sandy Hook killings. You will not see any front page articles about the Many Peace Officers who were killed in the line of duty. I actually believe a reporter might run a story about fighting to get Flaps to fit inside a T tire first. I have mine in the rear only. I have pretty well decided to go ahead and fit the flaps. I have them already and outside of the extra weight, there doesn't seem to be any real drawbacks. I was hoping to get to this task the day after Christmas but its looking like I'm going to have to open the shop to crank out one last big job that needs to ship this year. Ah well, at least we're busy during a time of year when business usually dies like somebody shot it . . .